In 2006 the NHS Chief Medical Officer, Sir Liam Donaldson, laid down a challenge ‘to reinvigorate both local and national clinical audit’. Subsequently in 2008 the Department of Health set up the National Advisory Group for Clinical Audit and Enquiries (NAGCAE) to provide expert advise and a central co-ordinated direction for clinical audit. In the same year, the Department of Health issued a competitive tender that invited bids to lead on the reinvigoration of both local and national clinical audit. Healthcare Quality Improvement Partnership (HQIP) won the initial tender. In 2012 they were awarded a further five-year contract when they also won the re-tender. 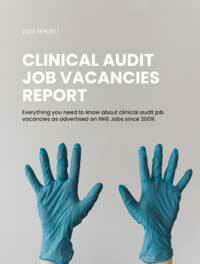 The responsibility for the reinvigoration of clinical audit now sits with NHS England. HQIP are accountable and report to NHS England. NAGCAE were disbanded in 2016. From the very start of the reinvigoration process, CASC questioned how the reinvigoration of clinical audit would be measured and assessed, especially given the considerable sums of public money involved in this initiative plus the raised expectations placed on those in local clinical audit. Of course, as clinical audit professionals we also have an in-built wish to measure progress using clearly defined metrics. Sadly, no one has ever been able to confirm how the reinvigoration of clinical audit is being tangibly measured. Since 2010 we have conducted our annual online survey that invites those with an interest in clinical audit to provide anonymous feedback. The survey is conducted every December and to date we have always had a response rate above 100 (a high of 218 was reached in 2016). The survey invites participants to provide feedback on: the effectiveness of national clinical audits, current views on clinical audit (positive and negative), resourcing for local clinical audit, patient involvement in clinical audit, etc. 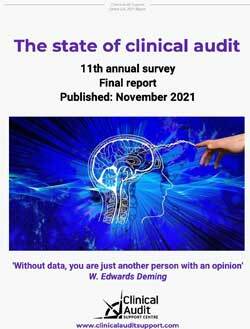 The survey is extremely comprehensive and is an accurate barometer of how clinical audit professionals are feeling. The survey was frequently endorsed and quoted by Professor Nick Black (during his time as NAGCAE chairman) and has featured in the Health Service Journal. The longevity of the survey – now with eight years of data collected – also enables us to identify key themes and trends from the clinical audit community. The full 2017 report is available here. In addition, we have created a number of documents that focus on particular questions in more detail - these appear below. Click on each document to learn more and/or download them. Since 2009 we have searched the NHS Jobs website for clinical audit related vacancies to include in our weekly job vacancies bulletin. In 2010 we realized that the data provided us with a blunt way of assessing investment in clinical audit at a local-level. As a result, we now produce our annual report every July that focuses in more detail on the job vacancy data. Given that data has been collected for over eight year on almost 1,500 vacancies we are now able to start to map trends and identify themes. We are the first to admit that the report has its weaknesses, but we consider it a reasonable hypothesis to hold that the reinvigoration in local clinical audit requires increased or at least a sustained investment over time. To read the report, click here. To see the headline results from the survey, click here.